Introduced to Rome society in 1894, the architecturally iconic St. Regis Rome is located in one of the city’s most impressive palazzos. The pioneer St. Regis in Europe and a social beacon for Romans and international travelers, the hotel has emerged to define a new era of luminosity. Blending a noble heritage with fearless, elegant interiors has transformed this grand dame into a supremely luxurious and artful residence. High-ceilinged and light-filled, the guestrooms and suites are styled with luxurious Rubelli fabrics, handmade glass and collectable curios – effortlessly sophisticated and distinctively urbane. A contemporary take on a historic address, St. Regis Rome has shed its former bearing and stepped out, into the limelight to truly own Rome. Radiant and luminous, it combines fearless elegance, disruptive artistry and discerning enlightenment. Led by renowned interior design firm Pierre-Yves Rochon Inc. Embracing the grandeur of a historic 1894 palazzo, the meticulous renovation honors the proud 125-year legacy of the hotel. A winning combination of history, location and an abundance of charm. Celebrating the captivating light of Rome while reimagining its timeless elegance for the 21st century. 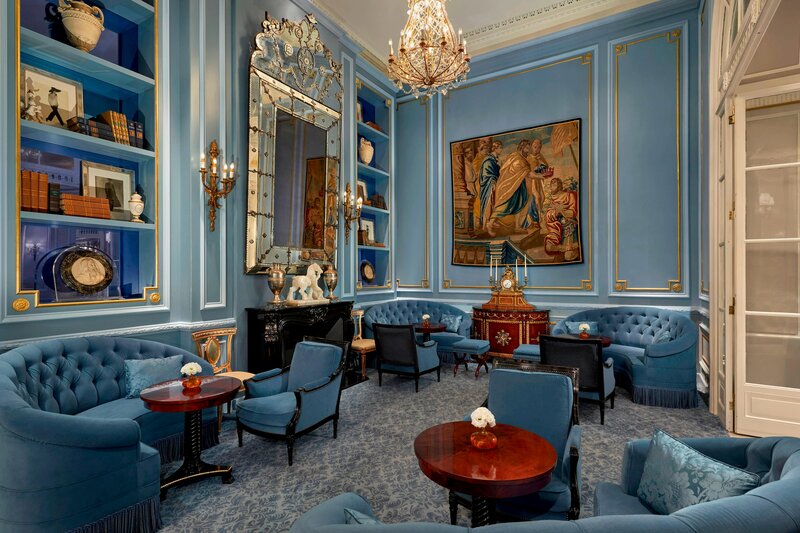 The full-scale restoration includes all of the hotel’s 138 rooms and 23 suites, elegantly layered with pastel hues that breathe new life into each space. As the pulsating heart of the hotel, LUMEN, Cocktails & Cuisine is enriched by unique collaborations tapping into the world of mixology and contemporary art. Every evening the Sabering moment announces a real transformation with rhythmic video projections in a succession of cross-cultural references. 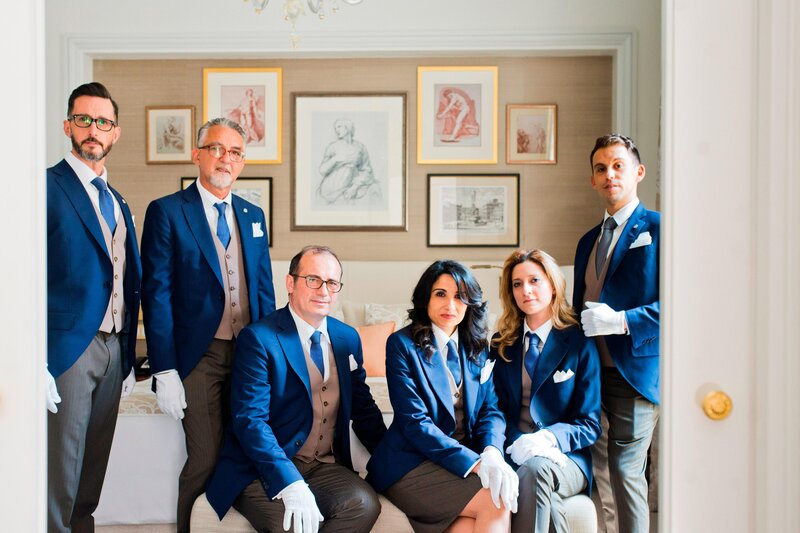 Dammann Frères has been selected as exclusive partner at The St. Regis Rome giving a modern italian take on Mrs Astor’s exclusive afternoon gatherings. Allow us to create a special moment for the little ones from a birthday celebration to a bespoke tour of Rome or a vibrant cooking class. Available upon request and availability. 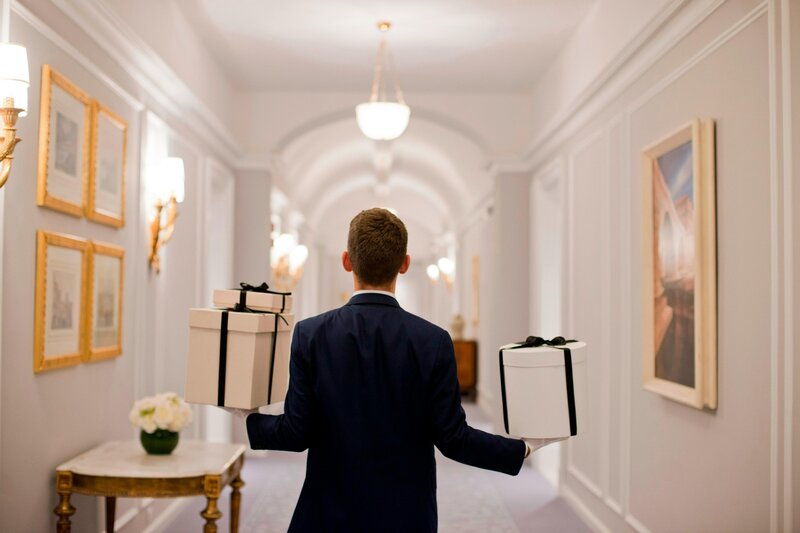 The St. Regis Butler Service has been a signature experience for over one hundred years providing a flawless service beyond expectations. Exceptional service by an equally exceptional staff.